Global Travel Media » Blog Archive » Winter is coming so Snuggle up at The Sebel Docklands with Massive Savings! Winter is coming so Snuggle up at The Sebel Docklands with Massive Savings! Escape the winter blues in the comfort and luxury of the Sebel Docklands with huge savings on one and two bedroom apartments. Even better, stay snuggled up for longer with a late check out (midday), a complementary bottle of wine and free parking. Book a minimum of 2 nights’ accommodation to stay at the Sebel Docklands between now and September 28 2017 and a pay just $259 per night (normally $489 per night) for a one bedroom apartment. THAT’S A MASSIVE SAVING OF $230 per night. 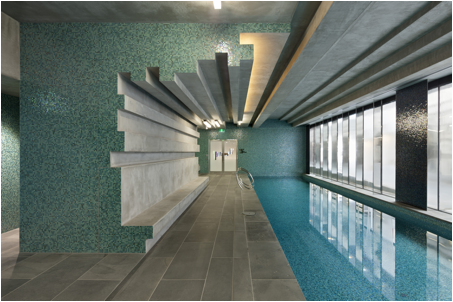 Sebel Docklands heated indoor pool. Located just a 5-minute free tram ride from the Melbourne CBD the Sebel Docklands is positioned on the waterfront with superb views of the harbour. Spend the weekend exploring the city, enjoying the waterways or making the most of the many attractions just a stone throw from your front door including Harbour Town Melbourne Shopping Centre, the Melbourne Star and the ice skating rink at O’Brien Group Arena. The multi-award winning Sebel Docklands effortlessly blends functional comfort and modern style to provide guests with 4.5 star hotel luxuries together with the convenience of apartment living. Each room is fully self-contained with amenities including a gas top stove, full size fridge and laundry – the perfect option for families or a couple’s weekend away. Snuggle up for longer and at the Sebel Docklands this winter. WINTER SPECIAL OFFERS FOR THE SEBEL DOCKLANDS. 2 night stay including parking, bottle of wine and late check out (valued at $120) in a 1- bedroom apartment $259 per night (normally $449 per night) and in a 2-bedroom apartment $369 per night (normally $619 per night). TO BOOK: Quoting WINTER_ID, book your visit by phoning 03 9641 7500. TERMS: Book and stay between now and September 28th 2017. Prepaid at the time, with no cancellation or amendment. Minimum 2 night stay.